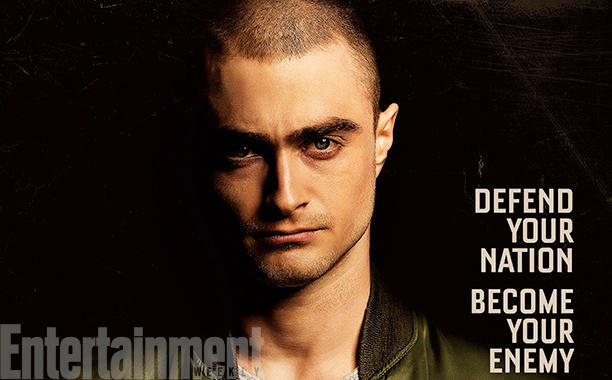 The official trailer for the upcoming Daniel Radcliffe thriller Imperium has been released, and it looks like it's going to be American History X in reverse. Imperium, or as it's already being called in certain corners of the Interwebs, "Harry Potter and the Master Race", is the story of an FBI agent (Radcliffe) who infiltrates a chapter of the Ku Klux Klan which is apparently planning some serious racially-motivated shenanigans. Beyond those few specifics, the movie looks to feature the usual undercover-cop movie plot points. Will he be found out? How far will Agent Potter go to maintain his cover? And how will this assignment change him? The trailer does a grand job of selling the movie, and Lionsgate is on the short list of movie companies that instantly get my attention when they release new projects. Given the kind of movies Lionsgate has been known to release over the last few years, this is likely to be an intense and thought-provoking movie, and another memorable performance from an actor not known for shying away from challenging roles. Check out the trailer below. Imperium is rated R for language throughout. In theathers and on-demand August 19th.